I’m still gobsmacked by how amazing the book launch was on Sunday. 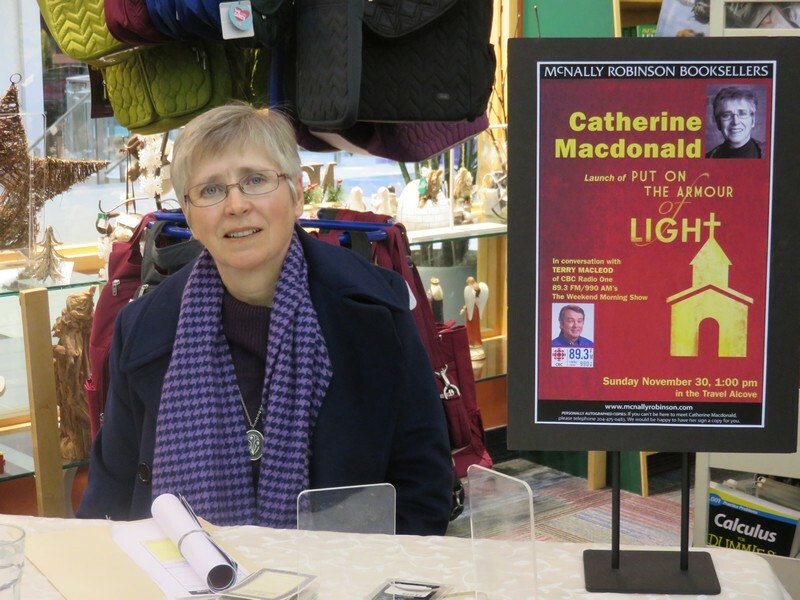 Because of all of you who came out on a frigid afternoon to help me launch the book in style, and who bought a copy, or even several copies, Put on the Armour of Light is number 1 in the paperback fiction category of McNally Robinson’s bestseller list for the week of Nov. 30. Thank you, one and all. I may descend to earth some time next week. And if you still want a copy, you can get it in Winnipeg at McNally Robinson, Whodunit, Chapters and all three Winnipeg locations of Costco. Missed the launch? Then come out to my reading and signing at Whodunit on Sunday, Dec. 7 at 3pm.